adds beauty to El Paso,Tx & NM homes and businesses. Landscaping can make or break a property. 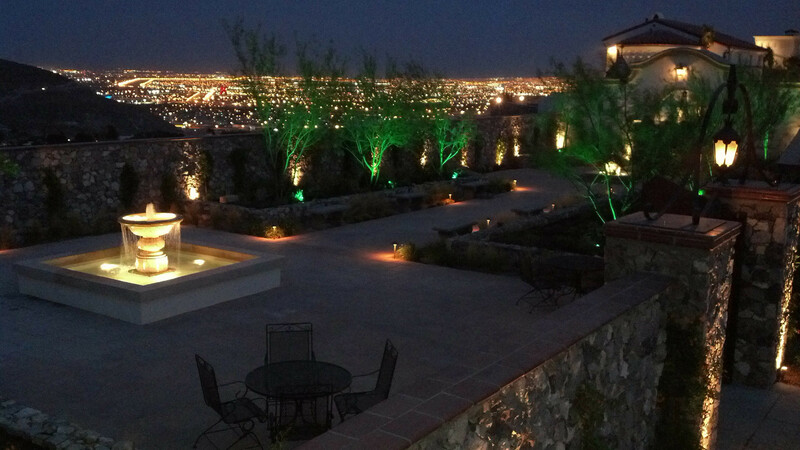 Landscape or outdoor lighting or what we call nightscaping, can bring your home and landscaping to life at night. During the day, plants, trees and flowers look beautiful. 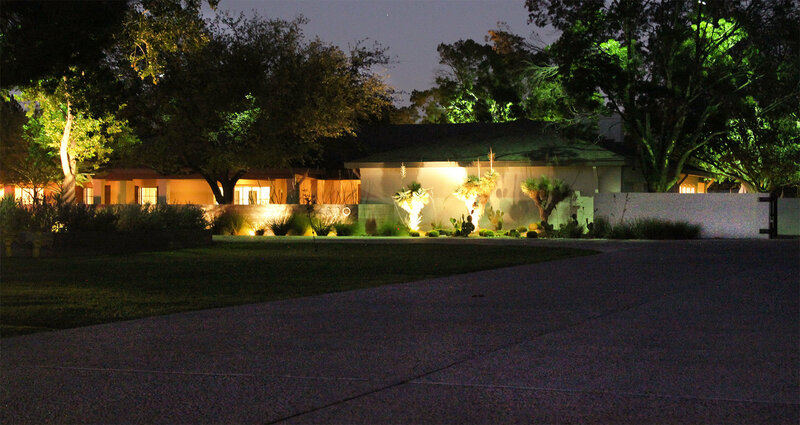 By installing a landscape lighting system, we can make the same plants, trees and flowers pop in a more romantic and dramatic fashion. 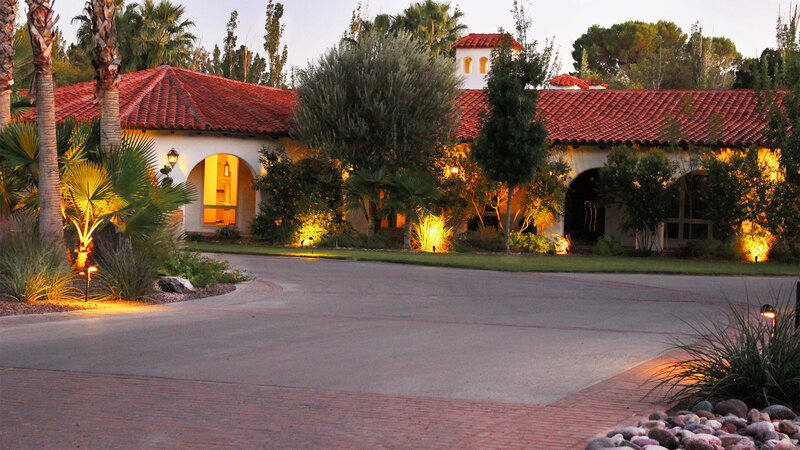 Since 2006, we have been designing, installing, and maintaining some of the most spectacular outdoor lighting systems in the region to bring the landscape to life at night. At night we lose our depth perception and color vision. By adding layers of lighting to a landscape that has color and detail, we bring back those aspects at night. 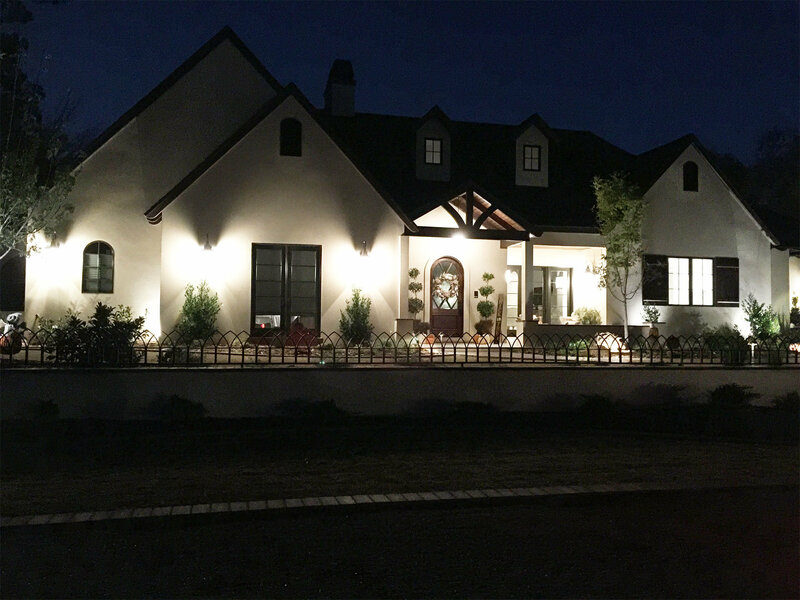 By adding the right outdoor lighting, we can also highlight parts of the home that would otherwise be lost at night.We only sell and install the top of the line manufacturers because we expect all of our design and work to last for years and years of enjoyment.